Janne Larsen, a Swedish investigator, charges that these official pronouncements of Eli Lilly are in sharp contrast with real world deaths and frequently observed suicidal tendencies as well as episodes of psychosis, mania and aggression that keep being reported to Adverse Drug Reactions databases. A clinical trial in Sweden in 2005 turned out disastrous for the drug. While the FDA has reviewed the drug and required warning labels for sale in the US, a European review is drawing on without much movement. Apparently, the UK's Medicines and Healthcare products Regulatory Agency (MHRA) is leading efforts to review Strattera's safety for the European Health Authorities, but - says Larsen - they are dragging their feet. Instead of installing an independent panel for the review of the drug, the MHRA has asked Eli Lilly to do the review themselves. Predictably, the company that makes the drug has found that there aren't so many adverse effects, and that with so many confounding factors to consider, it isn't sure whether the drug was responsible for any of them. "Will the agency, considering the harm caused to children, start an investigation of all the reported cases of death in connection with Strattera 'treatment'?" In April I gave data to the MHRA about reported instances of deaths in connection with Strattera treatment. The agency has still not answered and no investigation has been announced about the fatal cases reported. The following updated report – a compilation of confirmed fatal cases in connection with Strattera treatment, is sent to assist the agency in its investigation. This report also contains proof that Eli Lilly in January gave false and misleading information to the MHRA about deaths from Strattera treatment. The children and teenagers getting Strattera “for ADHD” can be expected to be healthy normal children and in this group of “patients” there should be extremely low morbidity and mortality. This report tells another story. In November 2007 I made an FOIA-request to the MHRA about the number of persons who have died while under Strattera treatment. The agency didn’t know and asked the manufacturer, Eli Lilly. The MHRA did not get further data about these fatal cases from Lilly, only the numbers. 31 children and teenagers have died while under Strattera treatment, with Strattera reported as the Primary Suspect Drug (PS). 19 of these young persons committed suicide. In addition to the FDA reports, data in different PSURs in Europe show that an additional 6 children and teenagers have died while under Strattera treatment. 33 adults have died while under Strattera treatment, with Strattera reported as the Primary Suspect Drug (PS). 17 of these adults committed suicide. In addition to the FDA reports, data in different PSURs in Europe show that an additional 4 adults have died while under Strattera treatment (cardiac death). In the reports to the FDA there are also 7 cases of stillbirth/abortion spontaneaus reported with Strattera noted to be the Primary Suspect Drug. 37 children and adolescents + 37 adults + 7 stillbirth/abortion sponteneous = 81 deaths. Of these 81 fatal cases at least 47 were reported by health care professionals (HCPs). I have now given specifics about confirmed cases of death in connection with Strattera treatment. And the number is much higher than in the Lilly report. I refer to the promise by the agency: to “take any necessary action to protect the public promptly if there is a problem” . The above information does definitely tell there is a problem: As said, the children and teenagers getting Strattera “for ADHD” can be expected to be healthy normal children and in this group of “patients” there should be extremely low morbidity and mortality. But the above data say that 41 children and teenagers have died in the last 5 years while under Strattera “treatment” – with 22 of them committing suicide. Add to this the staggering number of adverse events reported internationally for Strattera (the majority for children) – Lilly has told the MHRA: “During this reporting period, a total of 23,132 spontaneous adverse event reports of atomoxetine [Strattera], representing 58,048 adverse events, were collected by the MAH [Market Authorization Holder; Eli Lilly].”  This covered the period from November 2002 to March 2006. The number of persons who have experienced suicidality in connection with Strattera treatment has now reached 965 (PSUR 9, p. 106). Up to November 2007 (PSUR 9, Annex 16) there were also 513 case reports about mania, psychosis or hallucinations in connection with Strattera treatment. The MHRA has not taken any visible actions to protect children from all these harmful effects – not even answering on earlier reports about deaths from Strattera treatment. 1. Is the agency going to call in question the data given by Eli Lilly (41 deaths, 24 confirmed by HCPs) in light of the now presented evidence (81 deaths in FDA 2004-2007 with Strattera as Primary Suspect Drug and in PSURs, with at least 47 of these 81 confirmed by HCPs; and in total 95 cases of death)? 2. Will the agency, considering the harm caused to children, start an investigation of all the reported cases of death in connection with Strattera “treatment”? The reports included 55 suicide attempts - 41 of which were among children aged 6 to 17, and 12 that were adults between 18 and 45. Given drug companies' readiness to produce evidence that puts their products in a good light, it seems curious our drug watchdog should be willing to rely so heavily on them. And yet it continued to do so. 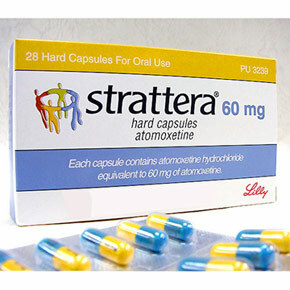 Take the case of Strattera, the drug used to treat hyperactivity in children. label were changed. Instead of issuing a similar warning, the UK drug watchdog contacted Eli Lilly and asked them to review the evidence. This is disturbing news. I am on straterra currently. I didnt know it has been killing people much less children!! !Some one needs to stop letting drs prescribe it to children and teens! !I blame drs in the case of prescribed overdoses!